I’m working hard to get in shape and reduce body fat, and snacking can totally be a part of any ‘diet plan’ — in fact, it’s helping me LOSE weight. Peanut Butter — PB has a ton of filling protein and tastes AMAZING with fruit like bananas or apples. Make sure you look for a natural brand with the fewest ingredients possible — usually peanuts, and salt or palm oil. 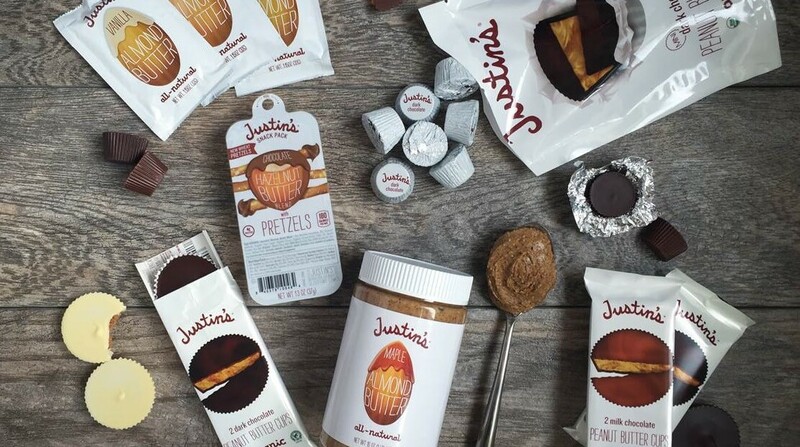 I love Justin’s Peanut Butter — the Kardashian family is also a fan of Justin’s and their almond butter.